The key to success in establishing an effective structured management environment is to ensure that a clear structure exists, with guidance to all levels of the programme and project teams. SPOCE has a proven approach to ensuring the methods and guidance are integrated into your organisation. For more information click on the "Implementation" tab above. A number of workshops can be facilitated by SPOCE, including Programme or Project Initiation, Definition and Planning; Product Based Planning; Risk Analysis; End of Tranche/End Stage Assessments; Project Assurance; Project Stabilisation; Project Status and Planning. For more information click on the "Workshops" tab above. SPOCE Project Assurance Support can scope your organisations project (s) to ensure that it is starting, being managed and closing in the correct manner. Coupled with facilitated workshops, this service from SPOCE ensures that the PRINCE2® method is being applied properly and is consistent with project requirements. SPOCE's Project Assurance Event ensures that individuals responsible for undertaking a 'project assurance role' fully understand the importance of the role. The event provides practical guidance to individuals on how best to manage the responsibilities of this role. For more information click on the "Project Assurance" tab above. All programmes and projects need to be monitored and controlled, regardless of success or difficult times. Triggering a Programme or Project Health Check helps to establish the true status, and will ensure that the programme or project is in line with the corporate 'best practice' standards. For more information click on the "Project Health Check" tab above. SPOCE's management expertise is incorporated into guidance that has been implemented into many organisations, assisting with establishing standards at portfolio, programme and project levels. Using best management guides such as MoP, P3O, MSP and PRINCE2, SPOCE can work with you to ensure a robust and effective structure is in place. SPOCE bases its implementation for PRINCE2® on the seven Themes (Business Case, Organisation, Quality, Plans, Risk, Change, Progress) and asks your organisation for "Theme Leaders" who will own a theme and assist SPOCE with running a half-day workshop to match PRINCE2® to your organisation's environment. Overview Guide ‐ Explaining the types of projects and levels or project, along with a summary of project controls that should be applied to each. Templates Guide ‐ A full set of project templates that have been tailored to your organisation. The template documents are provided by SPOCE, and then modified by your own resources with the help of SPOCE. The PM Guides should be reviewed by your resources prior to being launched. Launch usually would be recommended as a half day demonstration, with open surgery for handling questions, etc. Click here to access the online demo of SPOCE's PM Guides. This will give you access to some areas of the product and may help to give you some ideas for input into your own version. If you would like to use SPOCE's PM Guides as a base to build from then call us on +44 (0)1202 736373 or email info@spoce.com. Whether it be a complete P3O implementation, or a simple project setup, SPOCE's experience and knowledge can provide the cost-effective solution that you need. Bringing in an independent, experienced professional to lead a facilitated workshop often gives an excellent return on the time and effort invested. Workshops offered by SPOCE cover all aspects of Portfolio Management (MoP), Programme Management (MSP®), and Project Management (PRINCE2®), all supported by a P3O environment, and reviewed using the Management of Value (MoV) guidance. Organisations or individuals identifying a need for portfolio, programme and project assurance to help facilitate, mentor and assure any of its change initiatives. These workshops are suitable for internal and external consultants, Senior Responsible Owners, Sponsoring Group members, Programme Managers, Project Board members for Project Assurance, Project Managers and Project Support, and Team Managers. Senior managers from any discipline will also benefit from understanding how decision-support information is assured prior to major project decisions. 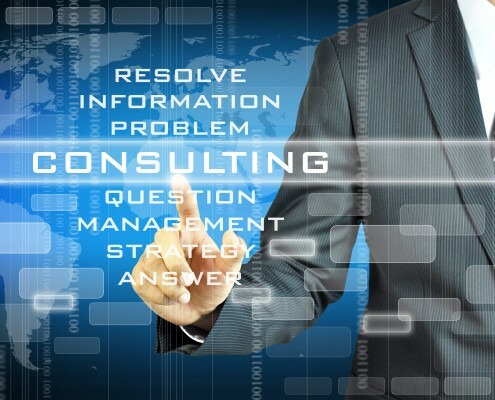 Provide customers with access to the knowledge and experience gained by SPOCE consultants over the past fifteen years. Help to recover programmes and projects which are running over budget and/or schedule. Ensure that sufficient knowledge transfer takes place to enable customers to go forward without day-to-day consultancy support should they wish to take this route. Motivate the teams to deliver a realistic plans that everyone buys into. SPOCE provide a number of workshops that are tailored to the client's needs. Below are a few of the typical "off-the-shelf" approaches that SPOCE offer. Typically a 2-3 day facilitated workshop to provide the best possible start to your programmes and projects. The teams will work, under the guidance of the SPOCE consultant, to create the Programme Definition Document or Project Initiation Document which may be reviewed and approved on the final afternoon of the workshop. Control will gradually be handed over to the Programme/Project Manager as the workshop progresses. More extensive consultancy can be provided to run over a number of weeks or months to support the development of Programme Definition Documents, producing the Project Briefs and then facilitating PID Workshops. This provides you with the expertise to work within your teams to ensure the best chances of success form your programmes and projects. Using the guidance provided in the MSP® and PRINCE2® reference manuals, blended with the Management of Risk guidance, a SPOCE consultant will facilitate a risk analysis and management event, usually over 1-2 days. A spreadsheet risk analysis tool is also available for use on this workshop. This workshop is useful to run as a separate event where the programme or project is perceived to be of high-risk or where the investment and exposure is high and the risks largely unknown. Product-based planning is the backbone to a successful project. The use of Product Descriptions and their associated Quality Criteria plays a key role in ensuring quality is built into Products and that progress is accurately tracked. SPOCE has developed a workshop which examines the concepts and provides a practical vehicle to develop realistic product-based plans at any level within the project. This workshop can also be run with our 1-day training event PRINCE2® planning with MS Project". This event is directed at errant projects which need to be reviewed, prioritised, status-checked and forward planned. The aim of the workshop is to provide a stable environment for the future management and control of the project and to provide senior managers with the confidence to proceed with a project which has deviated significantly from its timescales, budget, objectives or scope. It is recommended that the Project Stabilisation Workshop is preceded by a short consultancy assignment to establish the reasons for the problems and the impact on the project and organisation. Similar in concept to the Project Stabilisation Workshop, this event is used to ensure a smooth transition of an existing project into a PRINCE2® environment. These are usually held in organisations that are implementing the method and wish to bring existing projects to the new standards. All workshops are delivered by associates and staff of SPOCE Project Management Limited under the direction and guidance of Directors of the company. SPOCE staff and associates are all highly competent and experienced in management in general, and programme & project management in particular. The overall approach adopted by the company is to transfer knowledge and skills in order to leave the customer in full control. Timings and costs will be provided on request when following discussions of the specific requirement and outcomes. Workshops to help with the recovery or migration of programmes and projects to a best management practice environment will typically ran over 2-5 days. Product-Based Planning Workshops last 2 days. To discuss your requirements with our experts call SPOCE on +44 (0)1202 736373. All projects need to be monitored and controlled, regardless of success or difficult times. Triggering a Project Health Check on any project helps to establish the true status of the project, and will ensure that the project is in line with the corporate Best Practice standards. SPOCE's experienced consultants use best management practice guidance's to ensure that your projects are aligned to the standards required for operating in a successful environment. This approach can also integrate with your organisation's QMS to ensure corporate standards are being used within the projects. Health checks can be combined with project workshops to help move the project on in the right direction. Project Assurance can also be included, which can assist passing on the approaches to your internal resources.